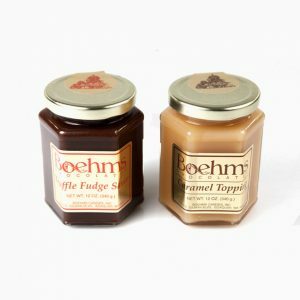 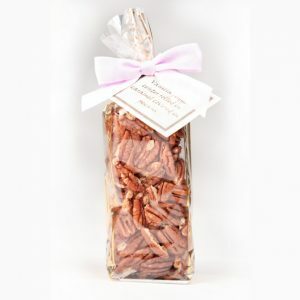 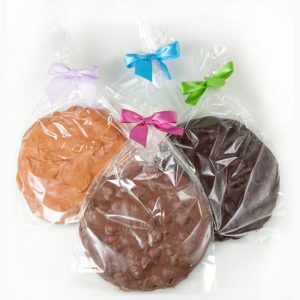 Try Boehm’s chocolates in a small sampler box. 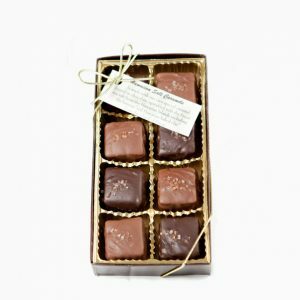 Each box contains a chew, truffle, soft center, and 2 foiled chocolate pieces. 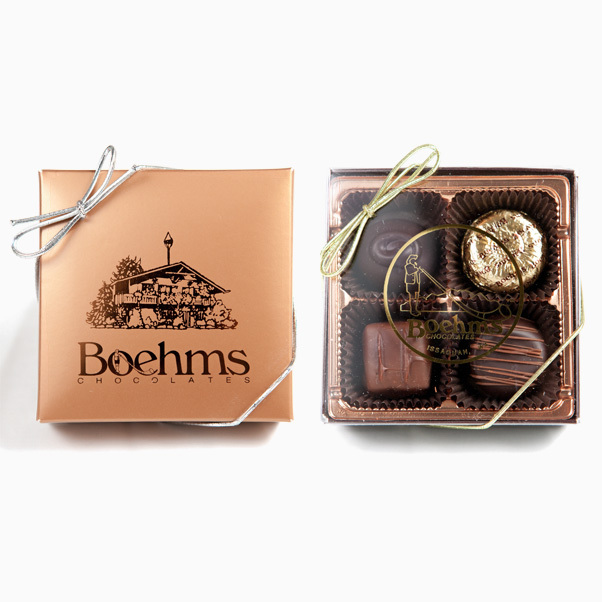 Lid style as well as box contents may vary.